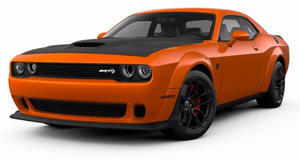 What The Hell Happened To This Dodge Challenger Hellcat? But the real question is: Who wants to buy it? Accidents happen, all the more likely so when there’s 707 hp and 650 lb-ft of torque on tap. Welcome to Dodge Challenger SRT Hellcat ownership, at least the ownership experience no one wants to see happen. Carscoops first spotted the remains of this 2015 Challenger Hellcat on Copart, and just short of a fire, this is about as bad as we’ve seen when it comes to near complete destruction. Where to begin? Up front? Out back? Both are completely smashed. Unfortunately, we don’t have details about how the accident occurred, other than it rolled over. And yet, despite its current state, a Houston, Texas salvage yard has put the car’s remains on sale. Before the crash, there were only 7,987 miles on its clock, but that doesn’t really matter much now, does it? No. The car is completely totaled, and based on these pictures alone, it appears every body panel has suffered damage. The interior? You really have to ask? Interestingly, Carscoops reported there was a top big of $7,100, but when we checked the current bid amount was $0. Hopefully someone changed their mind. Heck, the supercharged 6.2-liter V8 has taken a smashing. That $7,100 is an awful lot to pay for scrap metal.